Later in the year this famous album was repressed. This second repress, (gwa 1Aa version 2 ) can be identified only by the addition of the number "2" carved after the matrix on all four sides of the LP. At about the same time that the album first made its appearance in the United States, a Swedish pressing began circulating in Europe. The differences in this album and the previous is that this one had a very thin blank white gatefold cover, and a machine-stamped matrix BD 101 A/B. (gwa 1Ab). It is not impossible that this is actually the first "Great White Wonder". Towards the end of the year, one of the above pieces began appearing in the east coast of the United States in two separate blank white covers. The matrix number has been completely scratched out, so it is not sure exactly which piece this is, or if it is actually a different pressing. The quality on all of the above pieces is similar, and fairly good. 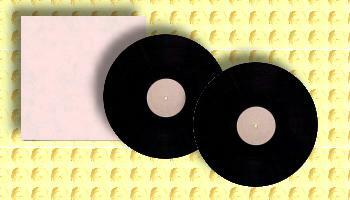 As the same master plates were used over and over, sound quality began to deteriorate somewhat.